In 2016, Italcol was already acknowledged as a consolidated Colombian company specialized in animal food production with a strong presence in Ecuador, Colombia and Panama. In Colombia, they had a chicken processing plant for human consumption; once they had a solid market vision, they decided to expand their business to Panama. This is how Pollos Caribeños were born. 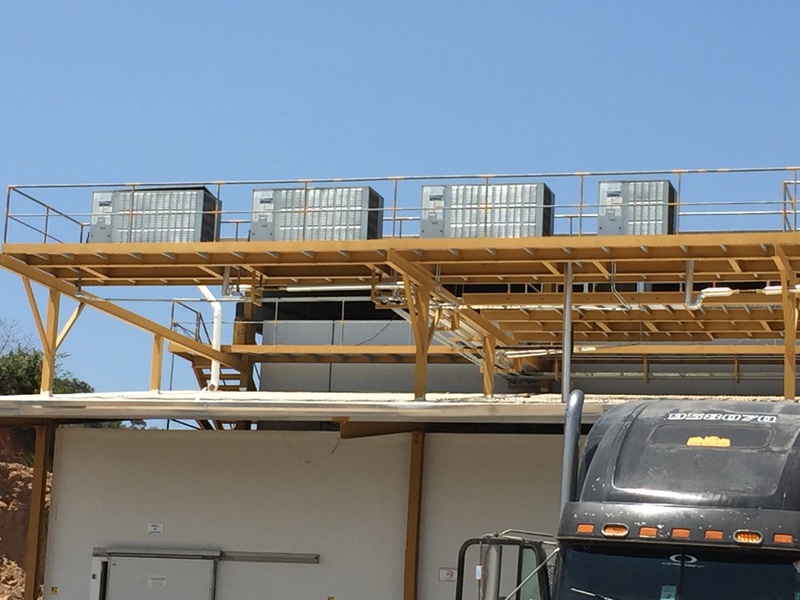 Today, this chicken processing plant in Panama has a cooling system designed by Froztec capable of producing up to 6000 units per hour. Setting up a poultry processing plant is a challenging project for any producer. Issues regarding its design, such as the climatic and environmental conditions of the region, as well as the sanitary standards, workers’ safety and production rate must be taken into consideration; and, of course, the industrial cooling system plays a more than strategic role to achieve it. 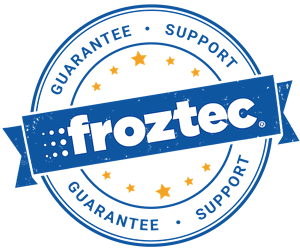 The collaboration of Froztec with Italcol covered both the system design and the selection of the cooling equipment that would allow reaching the ideal temperatures for chicken processing with a considerable saving of electricity and other inputs. Arrival of the live animal to the plant. Bleeding channel and head cutting. Scald: immersion in boiling water for softening and feather removal. If it is necessary, the chicken is carved up. Once these procedures are conducted, the viscera are immersed in the Chiller to cool down in water and ice. After the cooling process, they are packed and stored in the cold room. 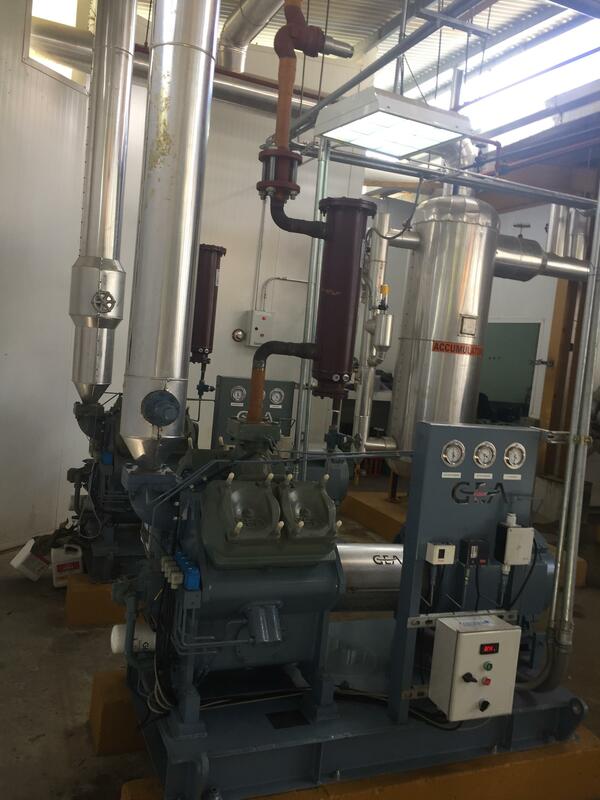 For the purpose of reducing costs in the viscera chiller, a Snowkey ice machine, capable of producing 5 tons within 24 hours, was installed. The ice generated by this equipment is used for viscera collection process and processed product transportation to consumption centers. An efficient cooling system for chicken processing plants is not limited to preserving the product and extending rack shelf-life; it is an excellent ally for product loss reduction and the increase of producers’ profitability. After viscera extraction, the chicken cooling process continues through immersion. First in a pre-chiller and then in a chiller. During this process, the chicken goes from 27 °C to 6 °C. With an approximate temperature of 24-28 °C, the chicken is immersed in the Pre-chiller, where it floats in water at room or cold temperature for a short term. In this 10-m long tank, with water at 2 °C, the chicken is immersed for one hour, approximately. During this term, in addition to reducing its temperature, its volume is increased, which benefits plant productivity. 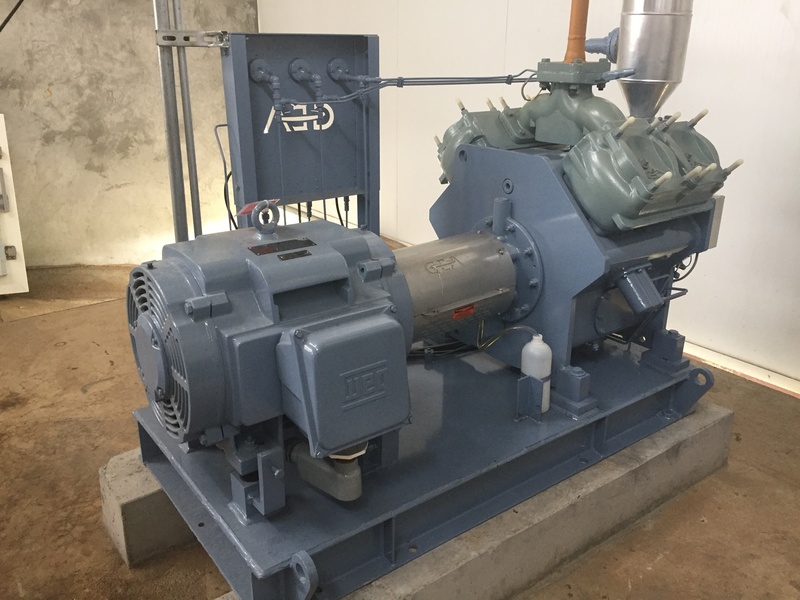 The cooling system of red waters for this Chiller uses ammonia as cooling gas; it was designed exclusively for this client by the Engineer Silvio Toro, from Froztec. 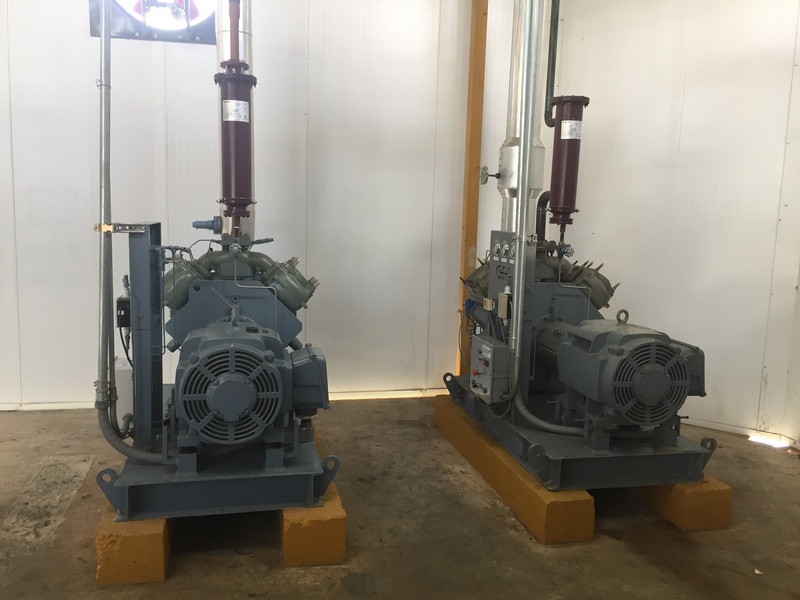 Two reciprocating 45-TR refrigerant GEA compressors, with liquid receiver, suction accumulator with coil and valves for the whole system were used for the design of this cooling system. The air tunnel for cooling and sealing used by Pollos Caribeños is one most innovative cooling equipment of the plant. Although this type of solutions is generally implemented in European countries, it is uncommon to find them in Latin America yet; therefore, the Italcol plant has become a pioneer in the use of these systems. Through this equipment, the chicken is subjected to a cold shock for half an hour, and ends to lower its temperature from 6 to 2°, closing the pore to prevent the water out and, therefore, the reduction of producer's weight and profits. The design of this tunnel was achieved by a joint work with the Engineer Libardo Gerardino, who used two Krack condensing units, with two industrial evaporators each. As every poultry producer knows, preserving the cold chain is essential to guarantee the quality of the products and their profitability, especially when going through human handling. 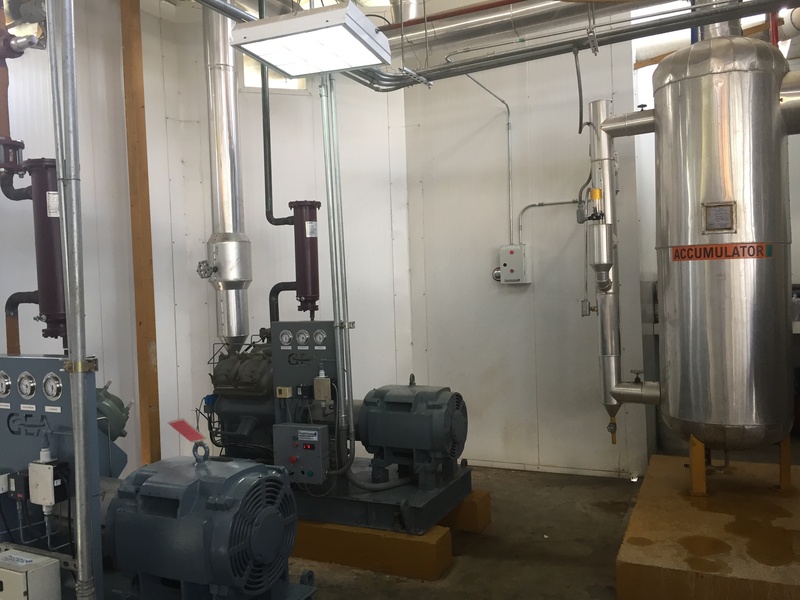 For the processing room of Pollos Caribeños it was necessary to reach a controlled room temperature of 5º to guarantee both product preservation and employees’ comfort. 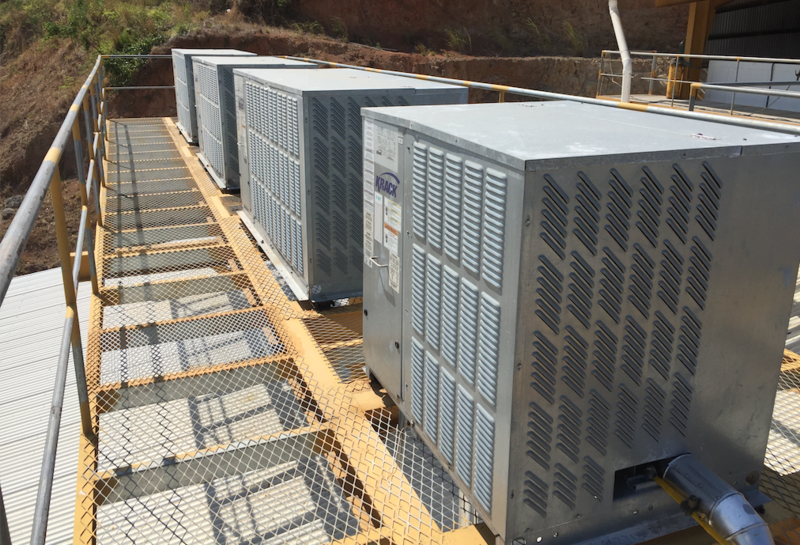 To achieve this goal, 4 dual-type evaporators or roof-top evaporators connected to a 20 hp condensing unit were used. After the processing stage, the product can be placed in a chicken freezing tunnel or a cold room for storage. When passing through the freezing tunnel, production reaches -20 ºC before moving to the frozen storage room, where it is prepared for dispatch. This tunnel has the capacity to freeze 300 kg of chicken in approximately 8 hours and a high-profile evaporator with a 30-horsepower condensing unit was installed in its design. The cold room is the place where the chicken is stored before leaving the plant and is kept at 0 ºC, guaranteeing the optimal product preservation. 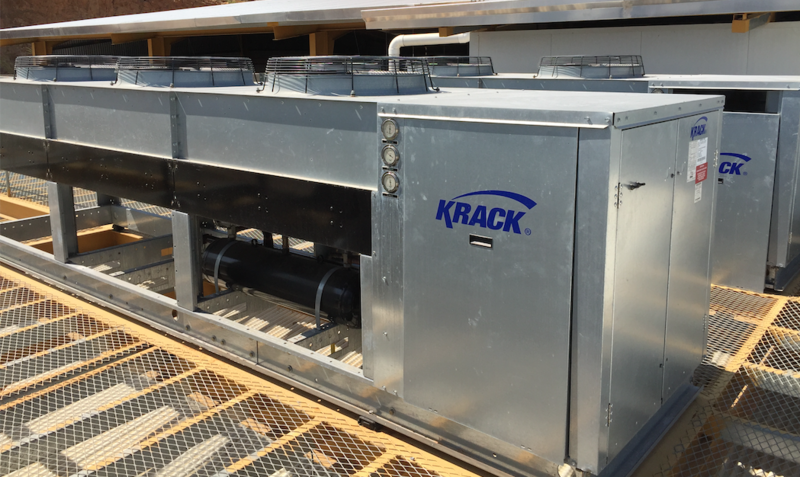 The Krack HTSD-0752 condensing units with high-profile evaporator manage to maintain the required temperature. 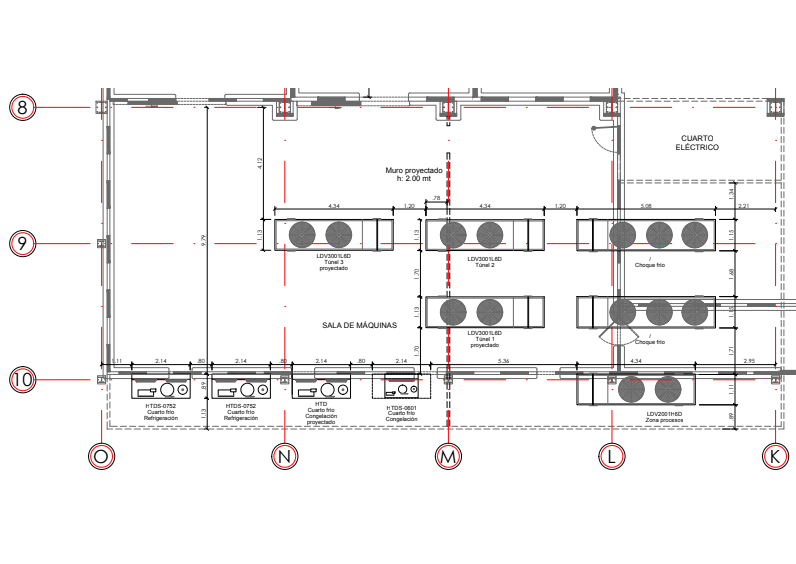 In addition to this process stages, Froztec, in conjunction with the client, designed a refrigeration truck dispatch area with roof-top evaporators connected to a 7.5 horsepower Krack equipment, as well as a cold room for product return and a frozen storage room. 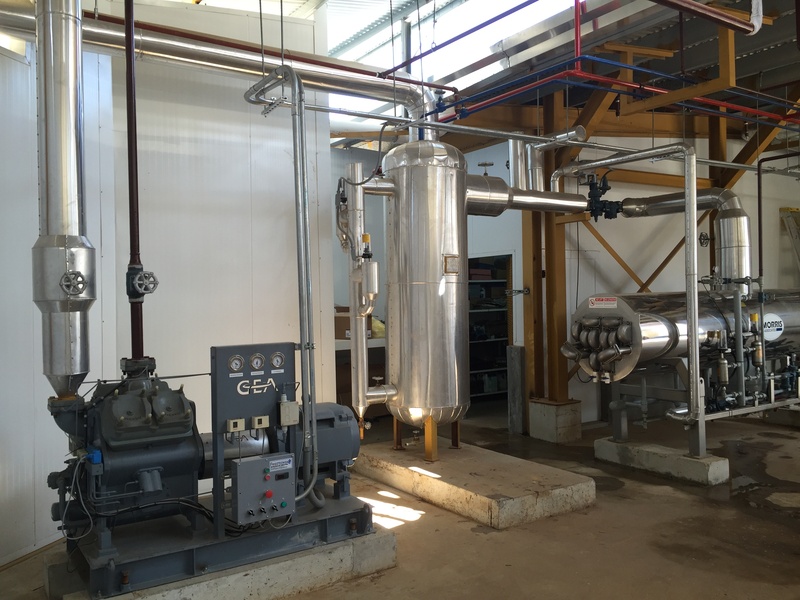 Refrigerant gases: for the cooling system of the Pollos Caribeños plant, the R507 and Ammonia gases were used in different equipment. Production: Nowadays, the factory can produce 160 thousand units per week, with a production rate up to 6 thousand chickens per hour. Ice production: the plant currently produces 5 tons of ice every 24 hours, which are used for the collection of viscera and product transportation to its sales centers. The production of Pollos Caribeños has achieved the successful incursion of Italcol in the poultry market for human consumption in Panama, fulfilling a sustained and profitable production.